Now a days we all want to find a different way to entertain ourselves. 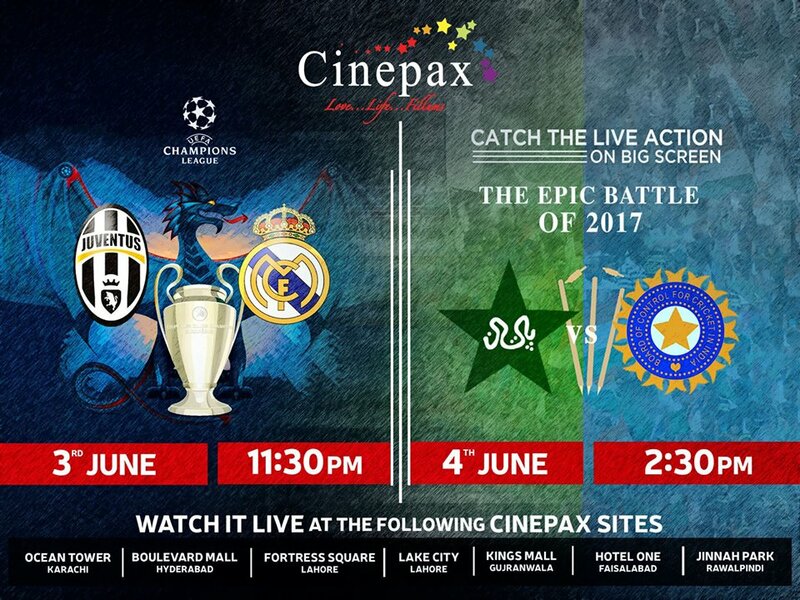 So allsportspk uncovers a new initiative by Cinepax Cinema network to bring LIVE the two major sporting battles on big screen. One does not have have to be a sports junkie to enjoy watching sports on a big screening but watching major events on a big screen as part of a large crowd provides a great atmosphere and an unforgettable experience. While showing sports games in movie theaters has been a practice in many countries, however, in Pakistan it has not been the case. So sports lovers do try to experience this new wave of entertainment and after the tasteful experience share your thoughts with allsportspk – the sports news leader and trendsetter in promoting new initiatives. Football Transfer Rumors: Is Cristiano Ronaldo Leaving Real Madrid?